I see the flick of a tail, ringed in black and white. 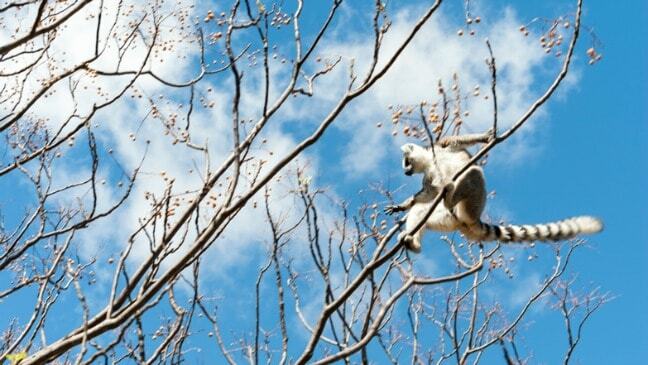 Then I see the lemur, climbing over the tree branches to pick some orange berries. He briefly turns towards us, staring with wide, hypnotic eyes, before leaping away. Then I see another ring-tailed lemur. And another. A whole troop of catta lemurs (the ring-tailed critters like Madagascar‘s King Julien), was around us. About half a dozen individuals, climbing on trees or scurrying on the ground, grooming one another, jumping from branch to branch. Normally, wildlife viewing comes with no guarantees. You may wander around for the whole day, only to spot a blurry figure zipping across the trees, two burning eyes observing you from the darkness, or some faint tracks. Yet, in Madagascar’s Anja Reserve, ring-tailed lemurs are everywhere. Which is incredible because, less than 20 years ago, they were in danger of disappearing forever. How many continents are there? Five, like the Olympic rings? Six or seven, if you count Antarctica? 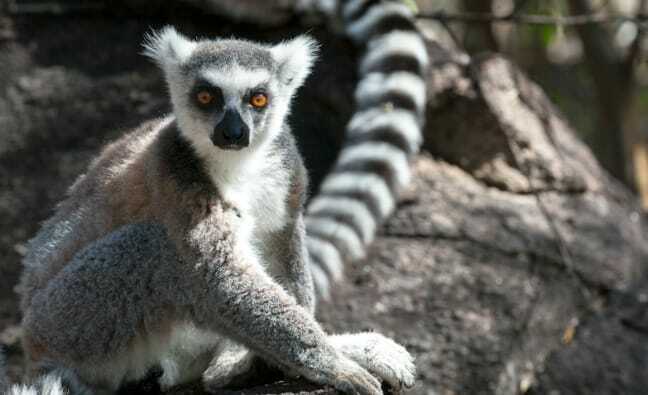 Some say that Madagascar is the “eighth continent.” After separating from the African landmass around 250 million years ago, Madagascar developed in isolation, becoming one of the most biologically diverse and interesting places on Earth. 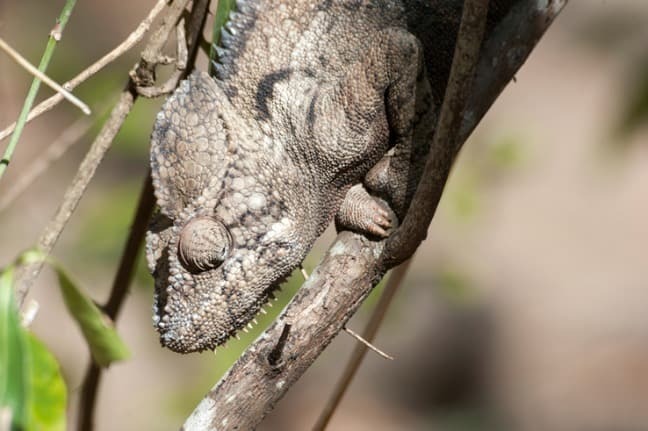 More than 90% of Madagascar’s flora and fauna species are endemic and wonderfully odd. Lemurs come in all shapes and sizes, such as the aye-aye (a creepy-looking lemur with an elongated bony middle finger) and the fossa (the baddie in the animated Madagascar movie). Walking in Madagascar’s Anja Reserve is like being in a Discovery Channel documentary. Ring-tailed lemurs leap from one treetop to another, their long tails swinging beneath them. 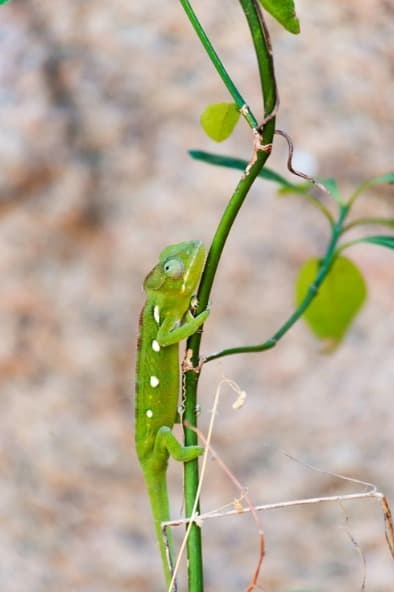 Chameleons as large as rabbits or as tiny as bugs pace along tree branches, so well camouflaged that only the expert eyes of local guides can spot them. 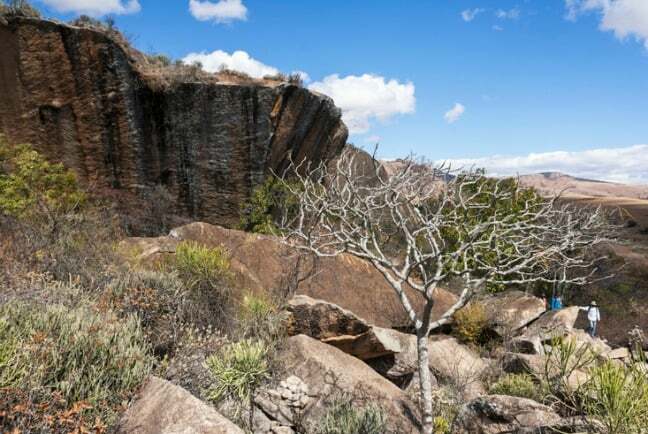 The remotest corners of Madagascar conceal undiscovered species. Scientific expeditions to places such as the jungles of the north and the stone forest of Tsingy de Bemaraha in the west consistently bring back new discoveries. 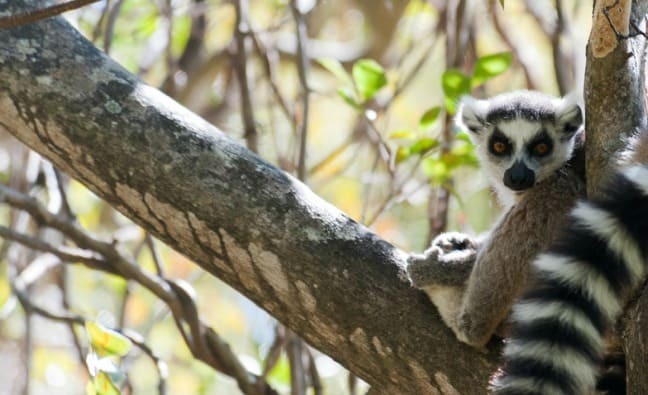 However, as is often the case with developing countries, the biological wealth of Madagascar is under threat from a constantly growing population and unsustainable farming practices. Balancing the development needs of the population while pursuing the task of preserving biodiversity is a top challenge for the Malagasy government and aid organizations operating in the country. 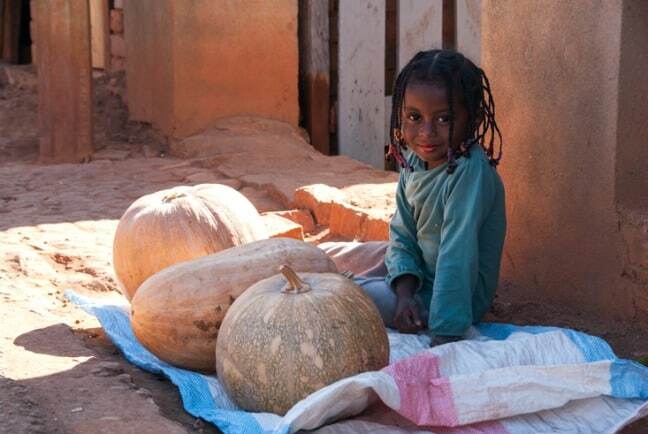 One example of this challenge is the community of Anja, located near the town of Ambalavao in Central Madagascar. This area is a landscape photographer’s dream– a combination of three ecosystems, from towering granite peaks and tree-covered mountain plateaus to low-altitude forests. 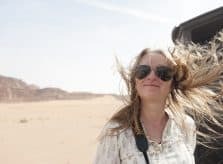 The forests around Anja grow at the foot of three huge granite boulders known as “the Three Sisters,” which are dotted with caves formed by the wind that have been used for centuries as traditional burial grounds. Central Madagascar is the ancestral home of the Betsileo, one of the 20 tribes that inhabit the island. The area around the Three Sisters has been used as a refuge by the Betsileo for thousands of years (the name Betsileo means “The Many Invincible Ones”). 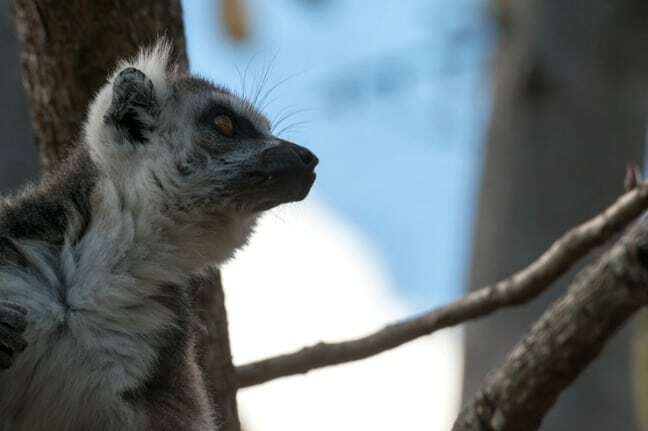 In addition to indigenous people, the area also provides home to numerous bird species, a large community of ring-tailed lemurs, chameleons, lizards and amphibians. Plant life here is wonderfully varied. Where the high mountain ecosystem meets low-lying forests, plants from both environments grow side by side, plus rare orchids and a wealth of medicinal herbs. Throughout the 20th century, Madagascar lost much of its forests and biodiversity to a vicious cycle of deforestation and slash-and-burn agriculture that led to soil exhaustion. It is rumored that over 90% of Madagascar’s forests have been lost, felled for precious wood and then burned off to clear land for agriculture. The Anja territory was no exception. On top of biodiversity loss and soil exhaustion, slash-and-burn methods led to a loss of water retention in the soil– a catastrophe for a place where most of the agriculture is subsistence rice farming. After the land was exhausted, the population moved further into the forest, repeating the cycle of clearing, burning and farming over and over again. By the early 1990s, when local environmentalists realized that it was time to act, the area had been already been heavily scarred. 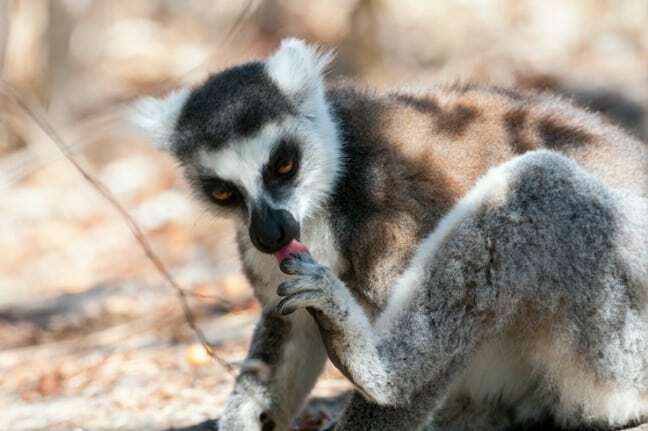 The once-abundant population of ring-tailed lemurs had dropped to fewer than 100 individuals. Locals resorted to hunting lemurs after bad harvests left the community impoverished and malnourished. In 1996, Anja was on the verge of an ecological catastrophe. 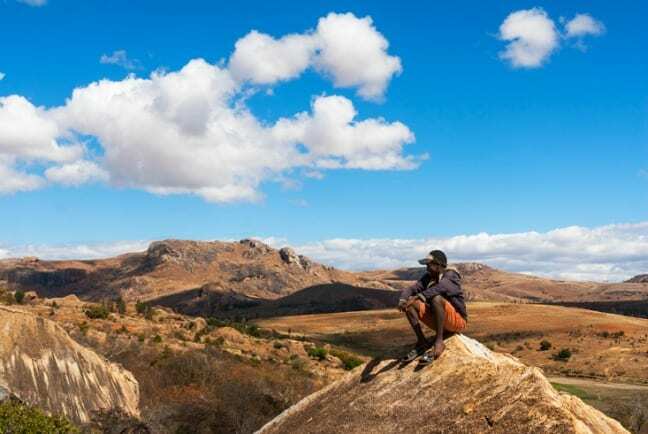 But then a joint project of the Malagasy government and the local community was planned and perfectly implemented, turning the area around Anja from wasteland to thriving ecological hotspot in less than 20 years. 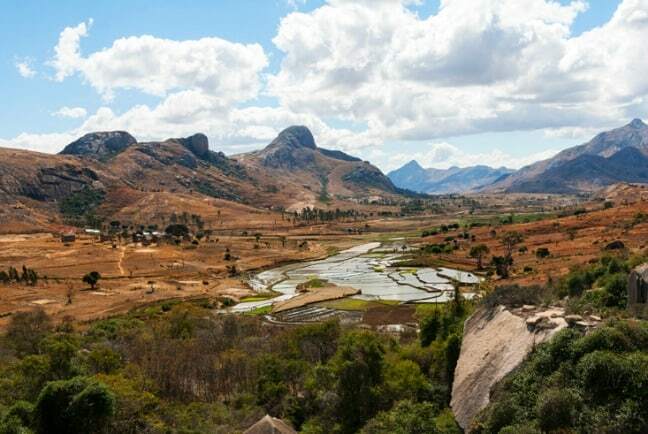 According to Malagasy traditions, land is managed by those who live on it. When it was decided to turn Anja into a protected area, a portion of land around the Three Sisters was handed over to the local community to manage, with government assistance. The first step was moving farmers out and giving them land to farm outside the protected area. The process was initiated by 20 young people from the village of Anja, who were joined by other villagers in a quest to turn the place into an ecotourism haven that would benefit the local people as well as regenerating the land. The Anja Miray association was created in 2001 in order to manage 30 hectares of what would become the Anja Reserve. The area was reforested with native tree species, and the local community was educated about the necessities of environmental protection, trained as local guides and taught alternative farming methods. Nowadays, Anja Reserve guides are all local villagers who have grown up between lemurs and granite boulders, watching their land slowly dying and then being rescued when all seemed lost. As in all of Madagascar’s parks, tourists must be accompanied by a local guide. Our guide, Hery, had a degree in ecotourism and was fluent in four languages. He knew every tree in the Reserve, every shrub, every flower. Before we got into the forest, he led us to a small lake, which he explained was a fish farm set up by Anja Miray. Traditionally, Anja locals had supplemented their diet with small fish caught in the flooded rice fields… until the soil became exhausted. As soon as we entered the forest, we spotted our first lemur. Then more and more lemurs appeared, running, climbing, leaping, playing, eating and grooming. 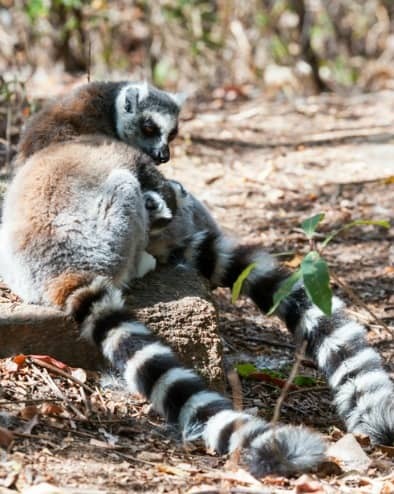 We saw some females marking trees by rubbing their genitalia on them, and others cuddling tiny lemur babies. 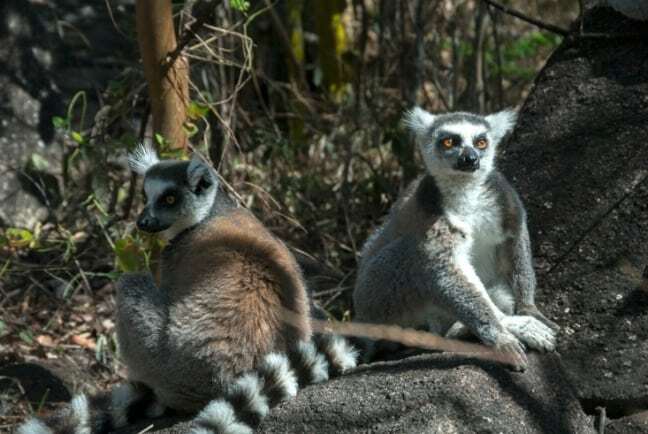 Ring-tailed lemurs are definitely the star attraction, but there is a lot more to see in Anja Reserve. We spotted a funny white bug that looked like a cross between feathers and lichen. We squinted our eyes to make out a tiny pygmy chameleon, no bigger than my little finger. Then we headed deeper into the forest, getting closer to the Three Sisters. Hery told us that his parents and elderly villagers used to tell them not to venture too deep between the boulders, so as not to disturb their Betsileo ancestors buried in the caves. Before heading back, we climbed over the top of one of the Three Sisters, about 400 meters up. Behind us were granite cliffs surrounded by primary forest. Axes had never ventured that deep, and the forest was wonderfully quiet. Animals there were very reserved and difficult to spot. In front of us, there was the valley, covered in rice paddies and divided by the black ribbon of route nationale 7. The Anja Reserve project has brought incredible results. Since it was opened in 2001, more than 450 jobs have been created, bringing benefits to more than half of the area’s residents. Locals are employed as guides and rangers, or as staff in the eco-lodge and restaurant. Some women sell crafts to the tourists. The income of local families is growing and, as a result, increasing numbers of children are enrolled into school. Thanks to reforestation and the introduction of sustainable farming practices, soil conditions in Anja have greatly improved. Water retention is now much higher, allowing farmers to irrigate their crops, and droughts are rare. On top of that, the income from ecotourism has greatly reduced the locals’ dependence on agriculture. Tourist numbers are growing constantly (following a drop after the 2009 coup), going from 200 visitors in 2001 to more than 12,000 in 2011. 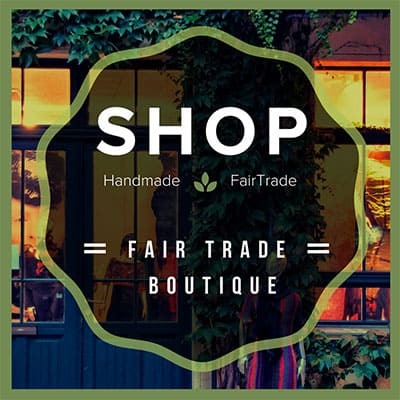 Every year, ecotourism profits are invested back into the community. Six new schools have been built since the project began, and several teachers have been trained. Orphans and underprivileged children are having their schooling subsidized, and villagers with special needs are receiving training in traditional arts and crafts. Hery is grateful to the Anja Miray Association, and to what it has done for his land. For years, he saw nothing but destruction around him. Now, the trees are growing and the ring-tailed lemurs have returned. Anja is once again starting to look like the playground of his childhood.